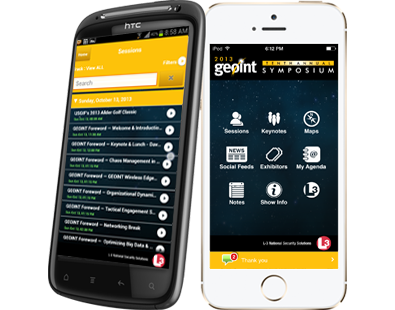 GEOINT 2013 Symposium App - Astegic Inc.
GEOINT 2013 is the nation’s preeminent and largest intelligence event of the year. 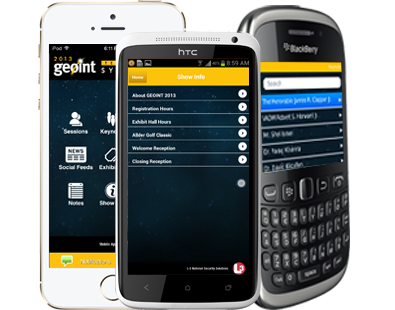 We designed and implemented a true native application built for the phone and tablet devices for all platforms that is powered by Astegic and provided by L-3. 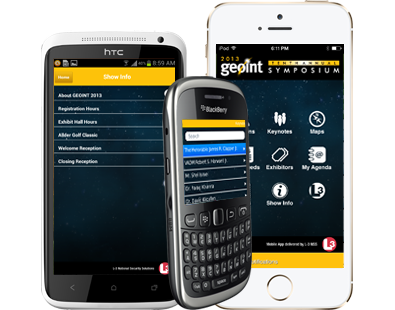 This exclusive app puts comprehensive GEOINT 2013 Symposium information in the hands of attendees, including a complete show agenda, keynote speaker information, exhibit hall maps and directories, special announcements, symposium news and social media feeds. Browse up-to-date, interactive schedules of what’s happening. Browse up-to-date, interactive details of who is exhibiting. 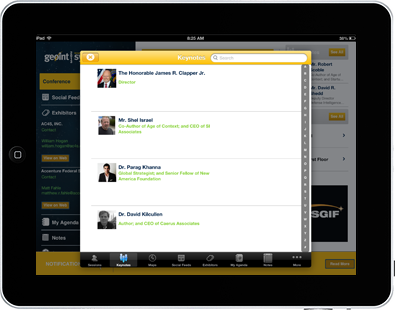 Search listings of people attending the conference and connect with them. 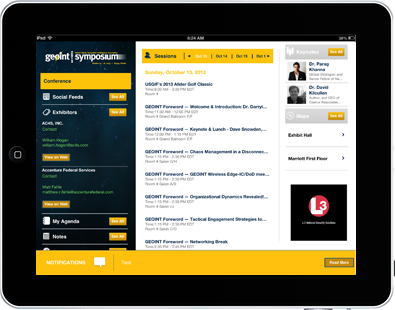 Capture important details of sessions, speakers or general notes. 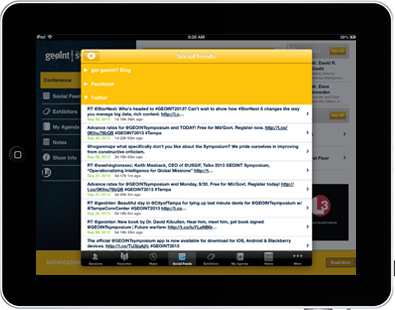 Search listings of people, places, and information that you might need. Read the latest headlines in a mobile-optimized format with pictures and video. Watch the in-app Twitter feed to keep up with what’s happening. Post to Facebook or tweet from within the app. 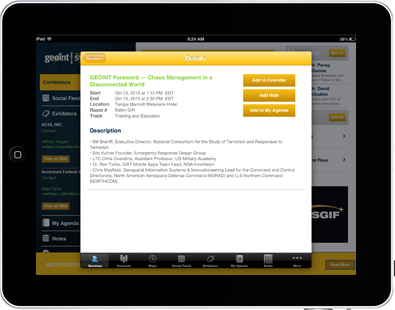 Give conference feedback by answering survey questions, or sharing opinions with the directors. Contact us today to learn how Astegic can create a custom solution for your Business.